In late July 2014, a diverse and intergenerational group of 22 individuals, including shareholders and a handful of Elders, came together at Howard Luke’s Galee’ya Camp by the Tanana River in Fairbanks to talk about climate change and its impacts on local communities. Over a period of four days, the Signs of the Land Climate Change Camp wove together traditional knowledge, local observations, Native language, and climate science through a mix of storytelling, presentations, dialogue, and hands-on, community-building activities. Part of Columbia University’s Polar Learning and Responding (PoLAR) Climate Change Education Partnership, the Signs of the Land Climate Change Camp was developed and conducted collaboratively by multiple partners, including Doyon Foundation, the Association of Interior Native Educators (AINE), the University of Alaska Fairbanks International Arctic Research Center (IARC), and the Gwich’in Steering Committee, to test a model for engaging indigenous communities in the co-production of climate change knowledge, communication tools, and solutions-building. This camp adapted the model developed several years ago under the AINE’s Elder Academy. 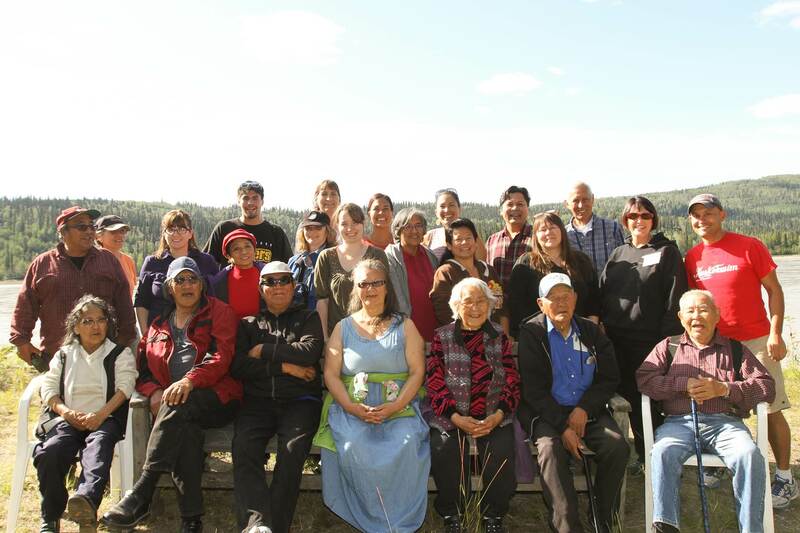 Participants in the camp included Elders – Traditional Chief Trimble Gilbert and wife Mary, Howard Luke, Berkman and Sarah Silas, Roy David and Sam Demientieff – along with classroom teachers, local resource managers and leaders, rural community members, and climate scientists. During the four-day camp, participants reviewed and played newly created interactive educational games focused on aspects of climate change in the polar regions. The Eco-Chains card game, which links the polar-food chain and highlights the importance of sea ice, and Arctic SMARTIC, a marine spatial planning game that requires players to negotiate competing interests in the changing conditions of the Arctic, were well received by participants. Based on their experiences during the camp, participants designed individualized outreach plans for bringing culturally responsive climate learning to their communities and classrooms throughout the upcoming year. Plans included small group discussions, student projects, teacher training, and conference presentations. For more information and upcoming events, watch Doyon Foundation’s website.